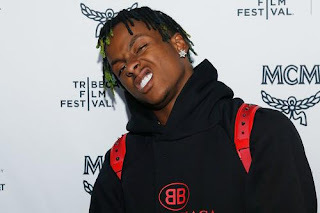 Rich The Kid and his main gyal Tori Brixx hit up New York Fashion Week looking something like a power couple. Rich only boasts 14 photos on Instagram and his latest upload shows he and Tori sitting side by side at the annual event. His original caption of the photo garnered a lot of comments since it read: "She badder than Rihanna and Kim K but im no Kanye." After a short while, Rich edited the post and simply left an eye emoji and a heart emoji. This isn't the first time Rich has compared Tori to Rihanna, back in July he tweeted back at a user correcting them for thinking Riri was any kind of better looking than his girlfriend. It's safe to say the couple has been through some rough times, like the brutal home invasion that left Tori battered and bruised. Despite rumours of Tori setting up the burglary, Rich stayed by her side and deflated the lies and to this day they are still going strong.